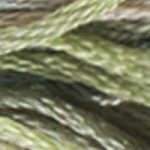 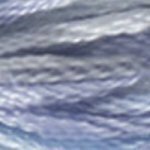 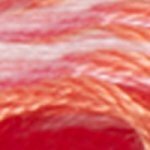 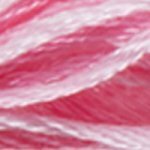 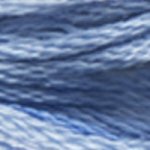 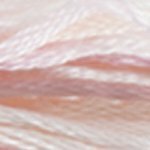 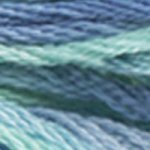 DMC® Color Variations Variegated Floss gives life to your cross stitched designs. 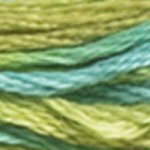 Color Variations offers you a wide range of colors in only one thread. 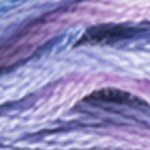 Every 6 to 7 stitches, each thread from the DMC Color Variations line unveils a succession of color changes, which are unique on each needlework project. 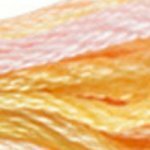 In soft multi-colored or tone-on-tone shades, these threads present the same stitching quality as DMC Mouliné Stranded Floss. 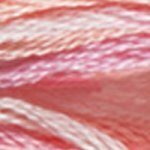 This floss is 100% cotton and each skein has 8.7 yards.